As a mortgage broker at Apple Financial Network I am dedicated to serving the needs of home-buyers and homeowners in the Inland Empire, Los Angeles and throughout California seeking the right loan for their situation. In my 16 years of dedicated service, I have worked with home-buyers seeking their very first home, experienced buyers seeking to upgrade to a larger home using a jumbo loan, and clients who are looking to purchase vacation homes and even multi-unit properties. I’ve helped many people refinance to save money, lower their rate, and get cash out of their homes. My experience has allowed me to effectively assist Realtors, home-buyer’s and homeowner’s meet their needs and reach their goals. One of my passions is working with Veterans on their home loan needs using the Veteran’s Administration (VA) Loan Programs that allow for lower down payments and less stringent credit requirements. At AFN I have access to all the loan programs my clients need and the features they want such as FHA, USDA (Rural), HAMP, HARP, State Bond Programs, Jumbo, Foreign National, Low Down Payment Options, Fixed-Rate, Adjustable Rate, Reverse, 203(k), VA, and more. Lastly, my constant communication and experience as an FHA DE Underwriter help to ensure speedy closings and peace-of-mind, during the loan process. Purchase, Refinance, FHA, First Time Home Buyers, Fixed Rate Mortgages, Adjustable Rate Mortgages, High-Balance Mortgages, Jumbo Mortgages, Zero-down Payment Loan Programs, Reverse Mortgages, USDA Rural Housing, and VA loans. Additionally, I can help with how to improve credit, credit qualifying, qualifying the self-employed borrower and W-2 employee alike. 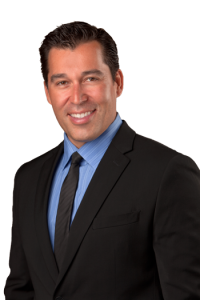 It feels great to know that I am one of the top local real estate agents in Inland Empire & Los Angeles. My website has a ton of resources that can help you search for your new home. Feel free to use my website, free of charge and with no strings attached. If you need representation or just have any questions at all, I'm always here to help. Call me today! Contact John Abril at 909-635-5813.